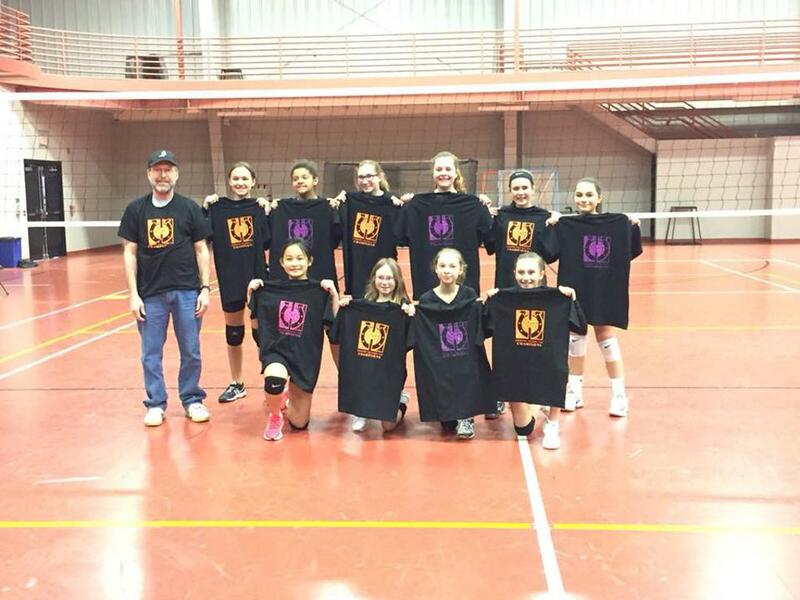 Click here for information about 2019 spring and summer clinics being offered by Horseshoe Volleyball Club! Click here for information about an adult co-ed 4-on-4 tournament at Moshannon Valley YMCA on Saturday, May 4! Ending the season with another first-place finish! 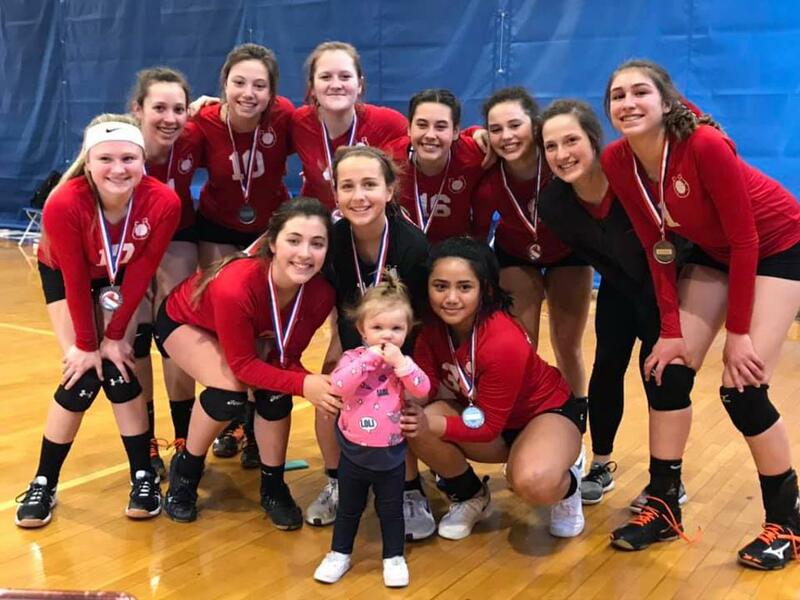 HVC 15-Red finished their season with a bonus tournament and taking home the Gold in the 16u division of the SFU Tournament! Another Great Weekend at the Grand Prix! Horseshoe VBC had another great showing during the second weekend of the Middle Atlantic AAU Grand Prix! 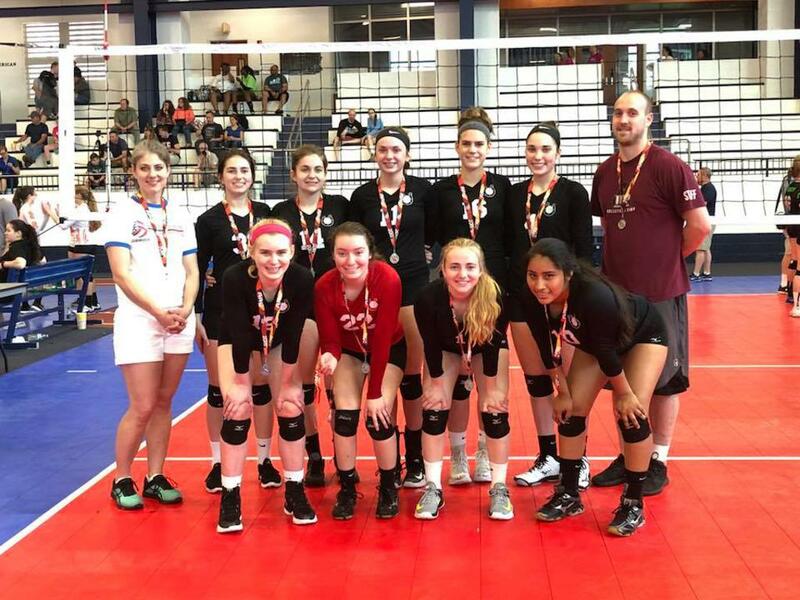 17-Red captured the Gold medal in the 17u Club Division, 16-Red finished in second place in the 16u Open Division, and 18-Red finished first in the silver division of 18u Club. Congratulations on another great weekend of volleyball! Great Weekend at the Grand Prix! HVC had a great showing at the Middle Atlantic AAU Grand Prix this weekend! 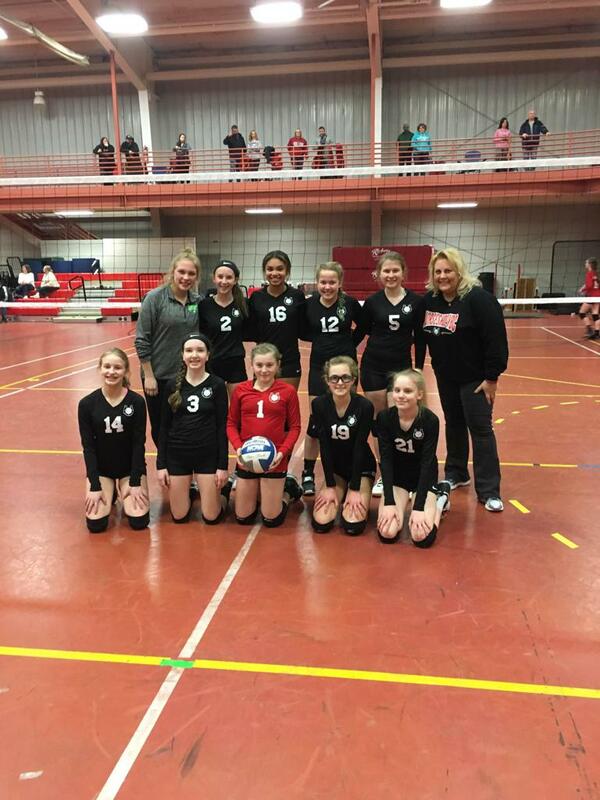 15-Red captured the Gold in the 15-Club Division and 14-Red won the silver championship of the 14-Open Division. It was a long but rewarding weekend of volleyball for both teams ! 16-White Brings Home the Gold! 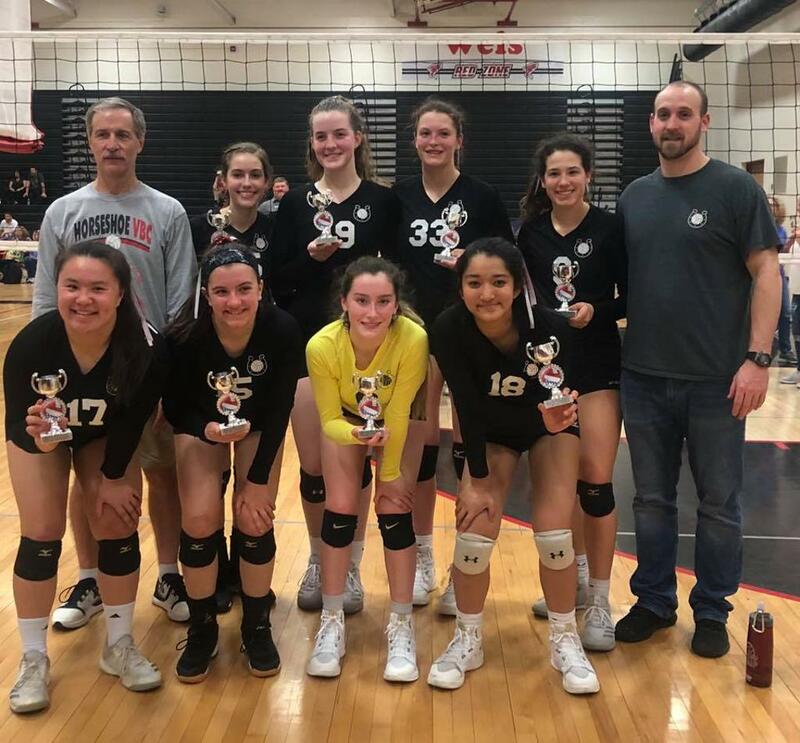 Congratulations to the HVC 16-White team for going undefeated at 10-0 to win the Ridgway Tournament on 3/30/19!!! 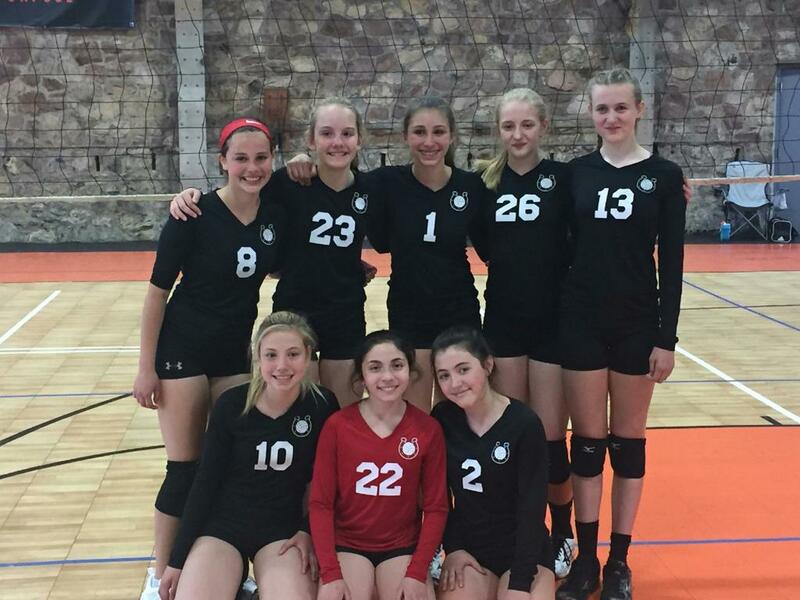 13-Black Wins Silver at SFU! 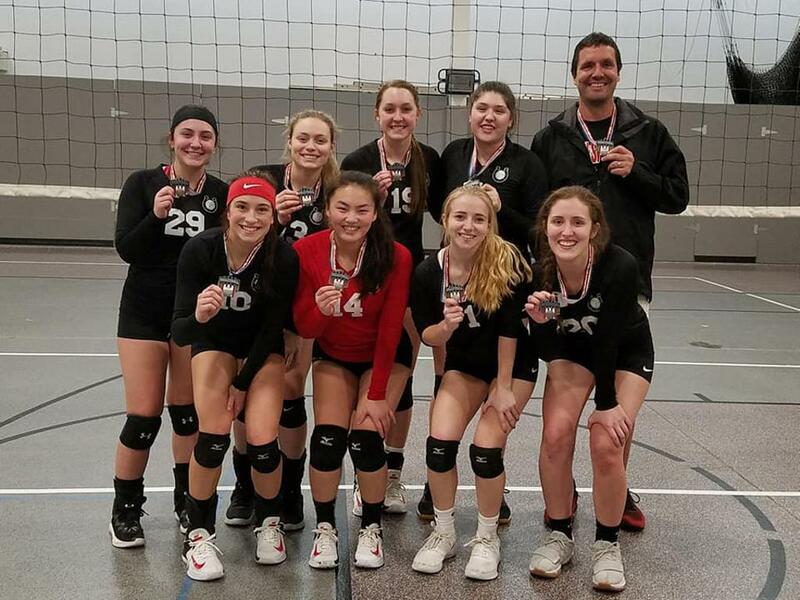 Congratulations to the 13-Red team for winning the Silver Division championship of the 14u St. Francis tournament on 3/24/19!!! They entered the playoffs as the top seed in the silver division and aftere losing the first set of the finals, roared back to take the next two to take the title. 3/24/19 SFU 14u Silver Division Champs! 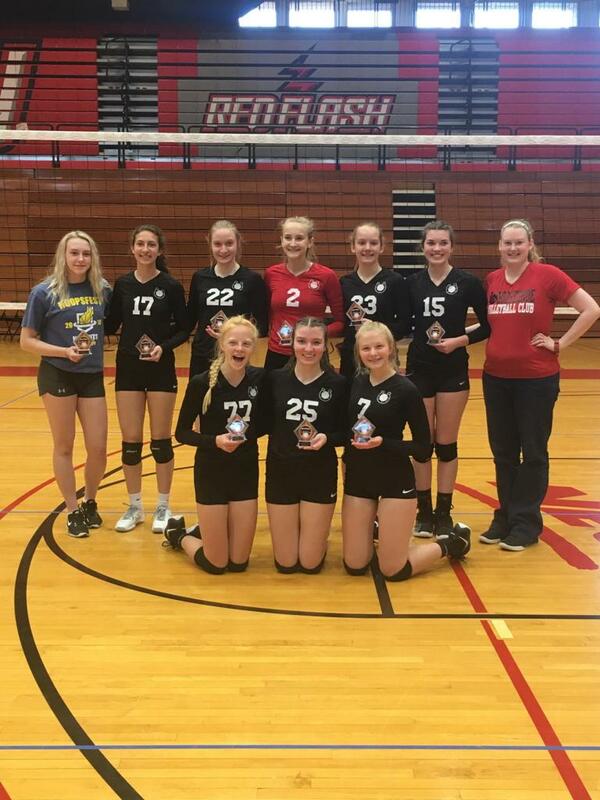 Congratulations to 18-Red for finishing as runner-up at the 2019 Warrior Slam Fest at West Branch High School on 3/9/19! 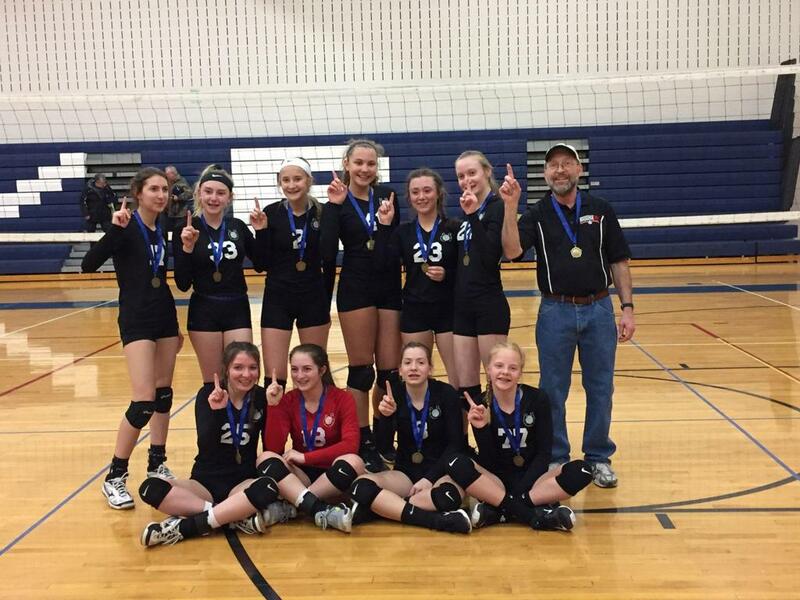 14-Red wins Gold at Berlin! 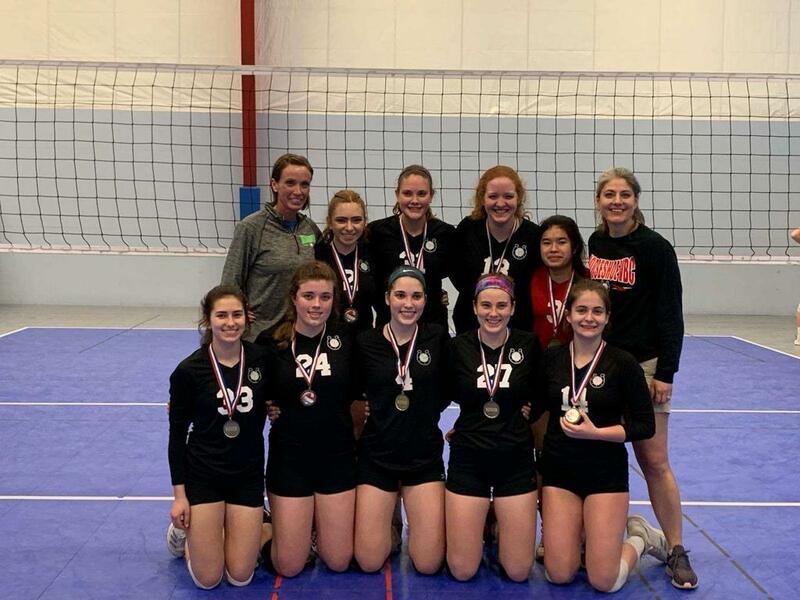 Congratulations to the 14-Red team for winning the tournament at Berlin on 3/2/19! They defeated WVYVC by scores of 25-12, 25-15 in the finals. 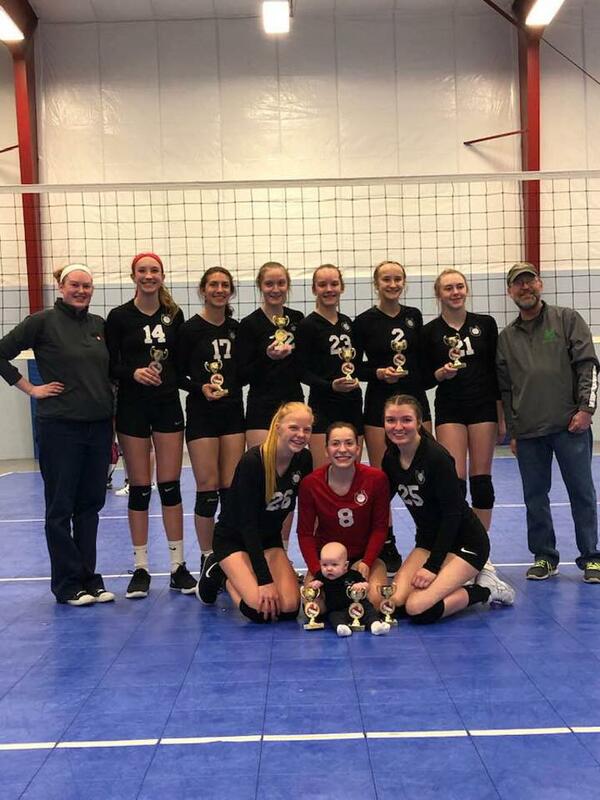 Congratulations to 15-Red for winning the Nook February Freeze 15's Regional tournament on 2/24/19 at Spooky Nook! 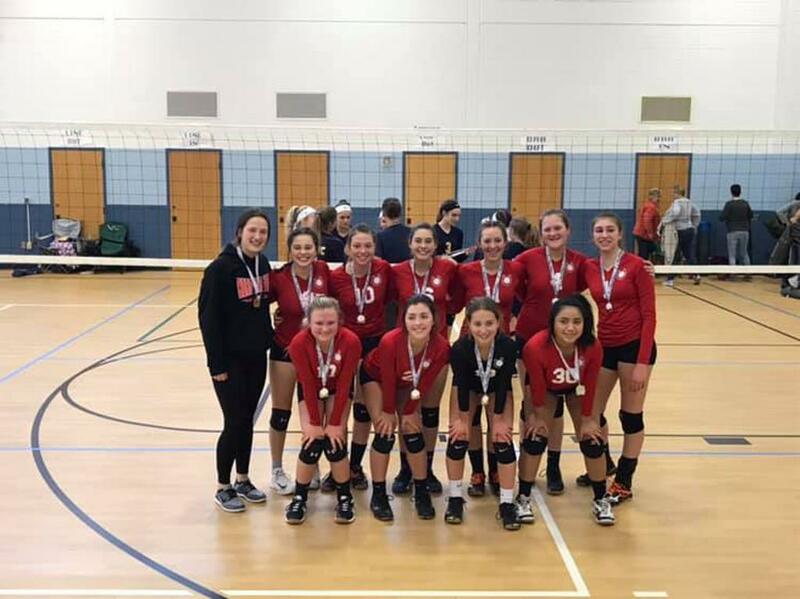 Congratulations to the 18-Black team for finishing in second place at Morrisons Cove Memorial Park on 2/23/19! After finishing first in their pool and dispatching Invasion in the semi-finals, they fell to a strong Northern Cambria team in the finals. 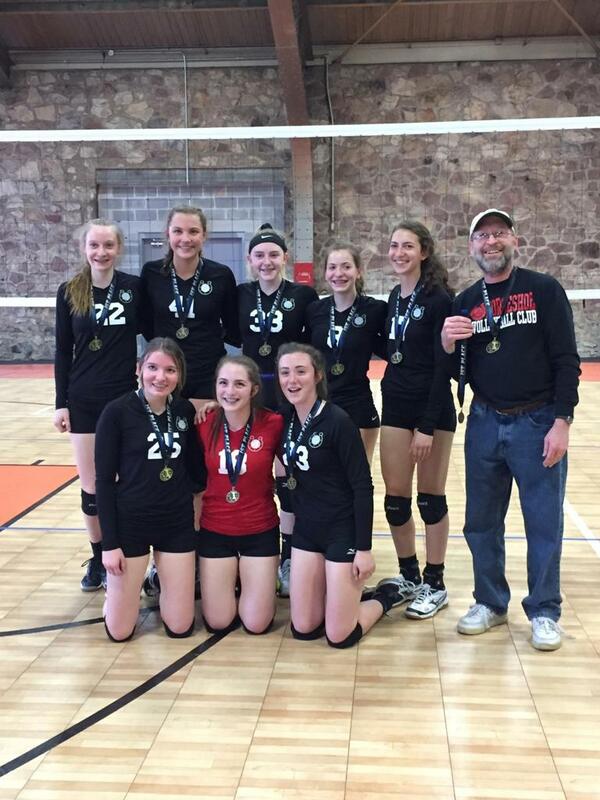 15-Red brings home the Gold! 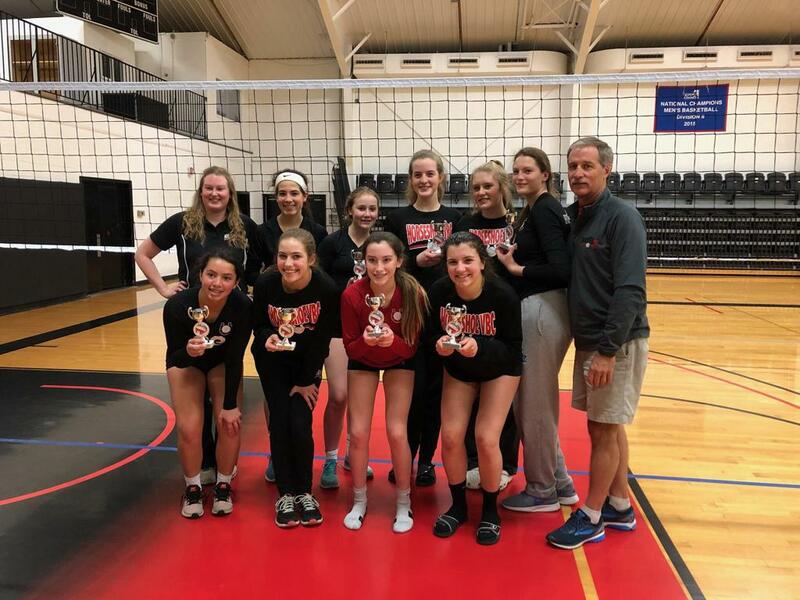 The 15-Red team took first place at the Somerset 16u Tournament on 2/10/19. 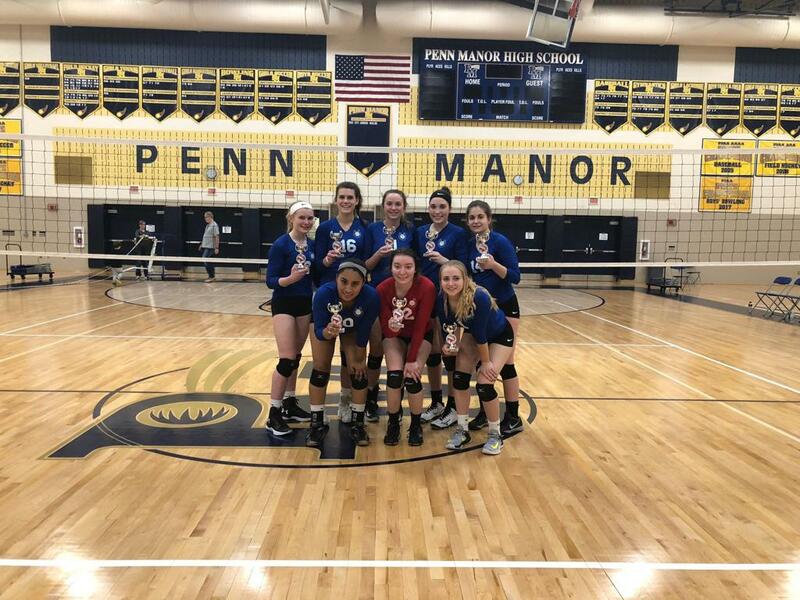 After finishing in second place in their pool with a 7-1 record, they defeated HVC-Central in the quarter-finals, Northern Cambria in the semifinals, and Pitt Precision 16's in the finals. 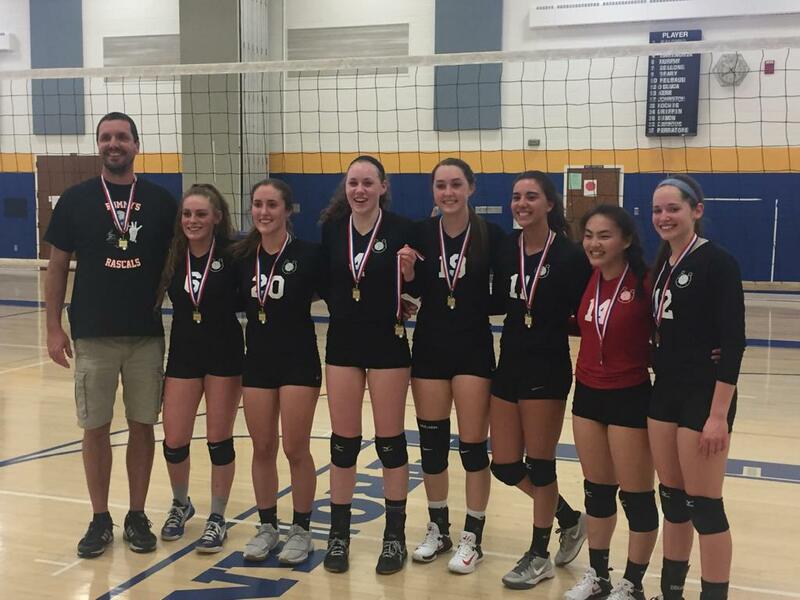 16-Red Takes Gold at MLK! 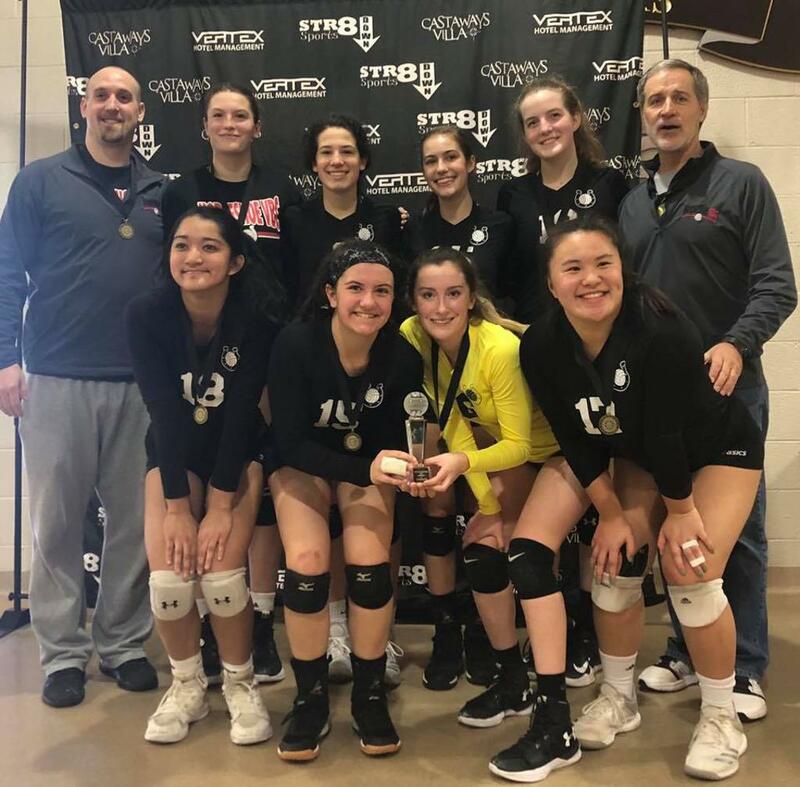 HVC 16-Red started off the 2019 club season on a high not by winning the gold medal in the 16u National Division of the MLK tournament in York! The team lost only one set in the tournament and defeated BEVBC Navy in the finals by scores of 27-25, 27-25. If you would like to use the electronic payment option to pay your club fees, the link below is now live. There are two options; pay the full amount or pay in installments. Thanks to all who ordered HVC apparel! The order has been sent in and no more orders can be taken. The supplier has set a confirmed delivery date of 2/4/19 but it is possible that it may arrive sooner. We will notify everyone when the apparel arrives and make arrangements for distribution. Congratulations to the Horseshoe VBC 18-Kraft team for their 2nd place finish at Happy Volley this weekend! They finished with a 7-3 record for the tournament. On Monday they defeated PBVBC in a Gold quarterfinal match and avenged a loss from Sunday by knocking off Relentless in the semifinals before bowing to Reach Synergy in the finals. Good Day for HVC at Tyrone! 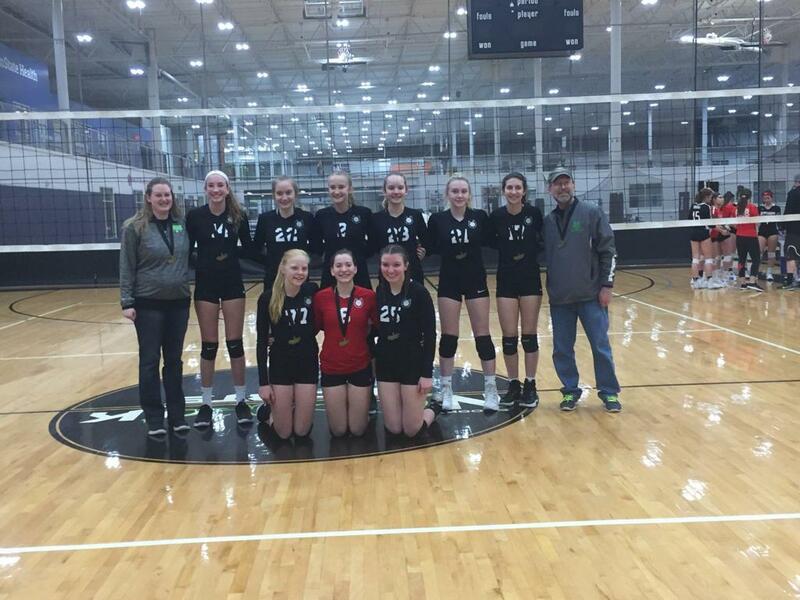 Congratulations to the 16-Chirdon team for taking the Silver Division championship and the 18-Kraft team for taking second place in the Gold Division of the Mid-Atlantic AAU Grand Prix in Lancaster on 4/15! Grand Prix Silver Division Champs! 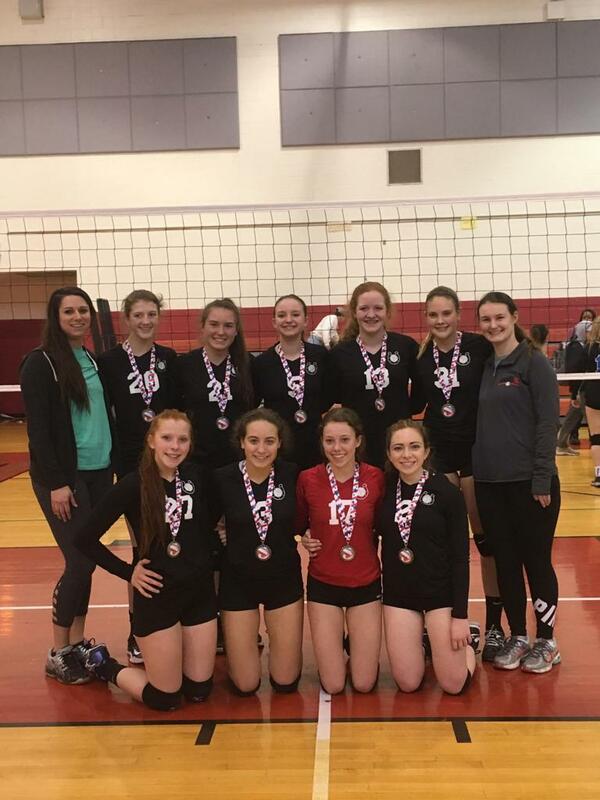 18-Wyant Team Takes Derry Tournament Championship! 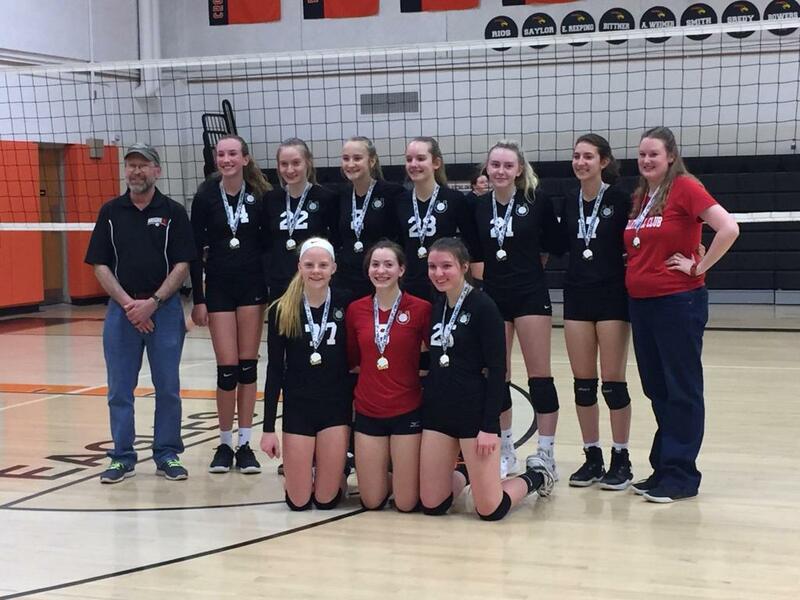 Congratulations to the 18-Wyant team for winning the Derry Tournament championship on April 8 by defeating WVYVC in the finals! 15-Welty Team Takes Second Place at Grand Prix! 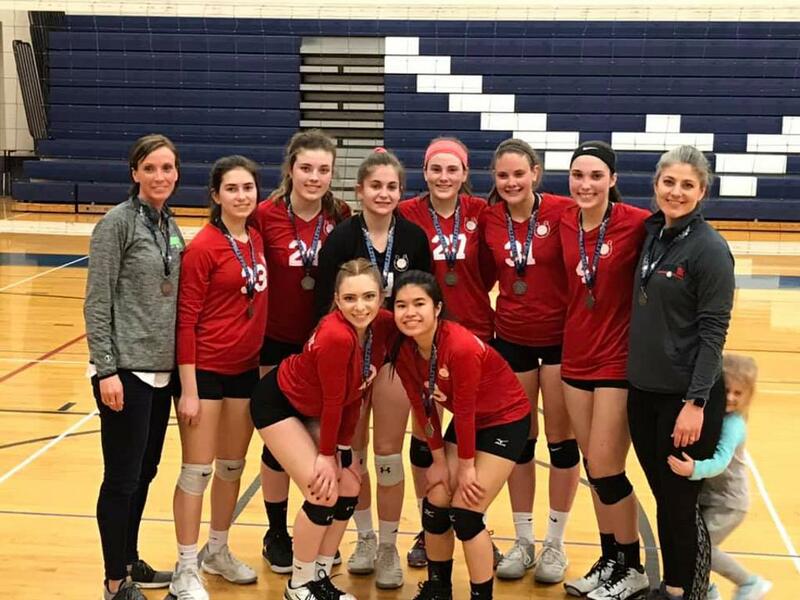 The HVC 15-Welty team had a great weekend in Lancaster as they finished in second place at the Mid-Atlantic AAU Grand Prix on April 7-8! The team only dropped one match before falling to Fusion Blue in the finals. We are awaiting word to find out if they have secured their entry fee in to the AAU Nationals. 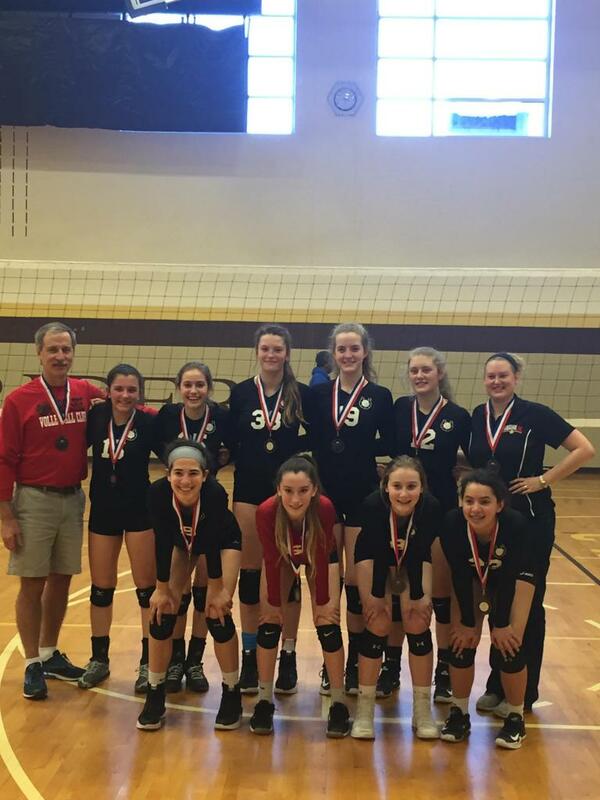 Congratulations to the 12-Kraft team for winning the HVC Tournament championship at St. Francis University on March 17! Coach Kraft was unable to be with the team for the tournament but was with them in spirit all the way to the final set! Congratulations to Everett Area High School Senior Ashley Kovel for committing to play volleyball at Washington and Jefferson College in Washington, Pa.!!! Congrats to the 14-Streilein team for winning the 2/18/18 Slamfest 14u Tournament Championship at West Branch High School! Congratulations to the 15-Welty team for winning the Silver Division Championship at the Prez Day Classic at Catasaqua High School! 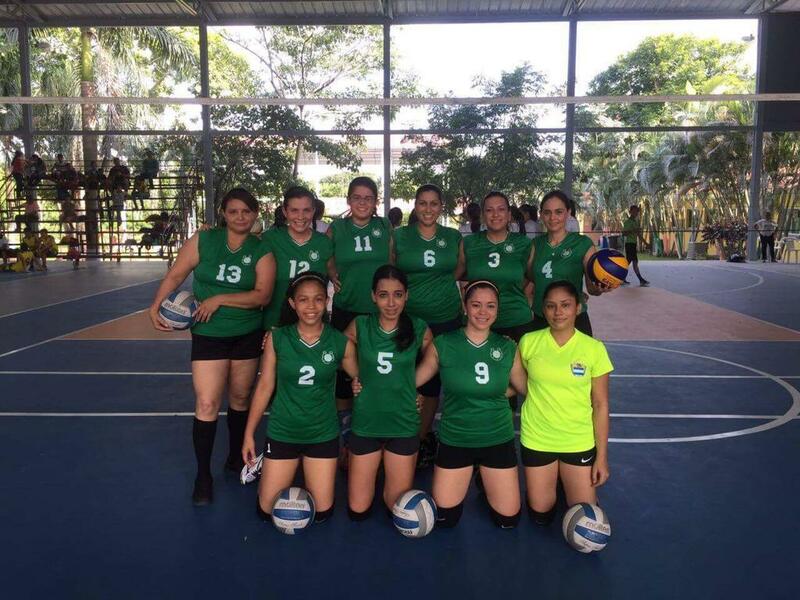 Former Horseshoe Volleyball Club volleyball players donated their old uniforms to help the missions in Honduras. The Horseshoe Volleyball Club gave the donated jerseys to Mount Aloysius women's volleyball Brianna Baker, who recently went on a mission trip to Honduras. Welcome to the Horseshoe Volleyball Club website. The Horseshoe Volleyball Club was founded by Bob Kasun and Ken Streilein and is in its eighth year of existence. 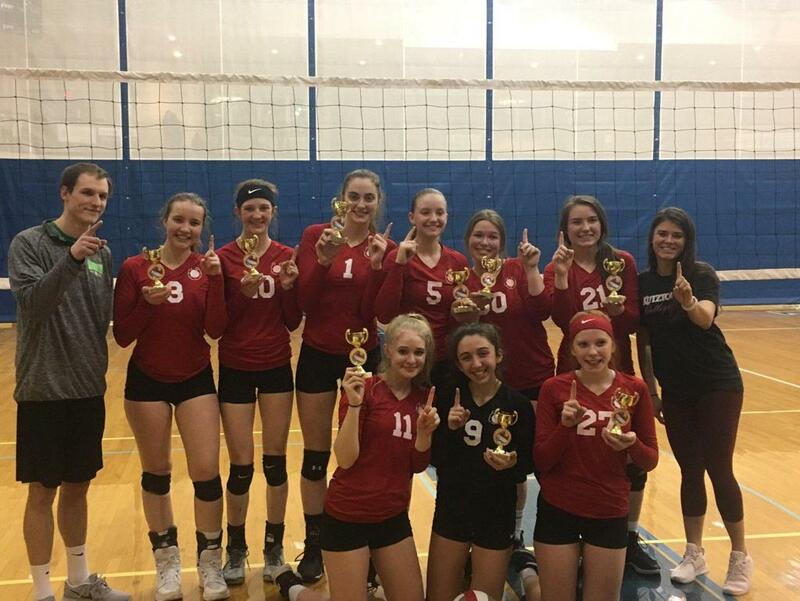 The purpose of the club is to help raise the level of play of girls volleyball by giving an opportunity for girls to play volleyball in the high school off-season. It is done by organizing players into teams and playing in tournaments during the club volleyball season. Teams play in tournaments sanctioned by either the Amateur Athletic Union (AAU) or USA Volleyball (USAV). Tournaments are held on weekends and may be either single-day (Saturday or Sunday), two-day, or three-day events. The club season begins in January and can extend into June when National competitions are held. Some of our teams will finish their season in March and others will conclude their season in either April or May. You can check each teams' schedule by going to their individual pages. Check back often during the season as we add updates of teams and players!